Michael Jackson was the penultimate post-modern artist; the indelible impression of a person being able to transform race, gender, age, and identity with the use of mass media is an artform beyond the realm of acceptance for many. Like a human collage Michael had a tiny doll nose, pretty pink lips, fawn eyes, opalescent skin, Liz Taylor hair and Kirk Douglas jaw line, his thin frame absolutely perfect in the “You Are Not Alone” video. Only in our futuristic present are people able to transform their physical being to match their internal identity, anyone can change their look, even in the slums of Brazil breast augmentation is big business. Michael Jackson was a true visionary who understood the synergy of image, performance and marketing to penetrate the minds of people even to the farthest corners of Earth. The French artist, Orlan, famously uses plastic surgery to transform her image creating ugly/beautiful, intriguing/repulsive, ancient/futuristic changes to her face. Cheek and lip implants, bulbous forehead adornments, Cruella DaVille hair all mashed up to create a shocking, memorable experience – a design using human flesh as canvas. Check out Orlan’s website – she is a trip! On David Bowie‘s “1 Outside” album, the CD liner notes tell the tale of a performance artist who cuts off small bits of his body for an audience of connosseurs willing to pay for the privilege of witnessing self-mutilation, the artist cutting off digits and bits of muscle till only one arm remained. Art is in the eye of the beholder. Stefan Sagmeister‘s famous AIGA poster. DoN LoVeD Michael, always believing he would never harm a child. A friend once told DoN he saw Michael Jackson with a wheelchair bound child at a ride in Disney World, the people in line went wild asking for autographs but Michael told the crowd he was there to be with the sick kid and devoted hours to making a child’s dream come true. We are the world. This entry was posted in Philadelphia Art, Philadelphia Artists, Philadelphia Pop Art, Plastic Art, Uncategorized on June 30, 2009 by admin1. Christian “Patch”ell, self-promo @ Philadelphia Sketch Club’s Phillustration ’09. 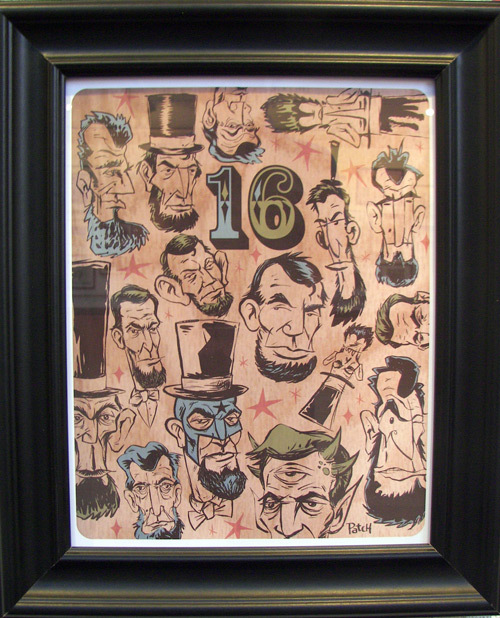 Rich Harrington gathered the region’s finest illustrators to participate in the Philadelphia Sketch Club’s annual illustration show – Philly is a hub of creative talent called on to promote products, tell stories, illuminate text and create memorable images. With almost 100 images in the sunny upstairs gallery the exhibition was informative and amusing. Hal Taylor, Riki- Tiki-Tavi, book. Philadelphia Sketch Club’s Phillustration 2009. 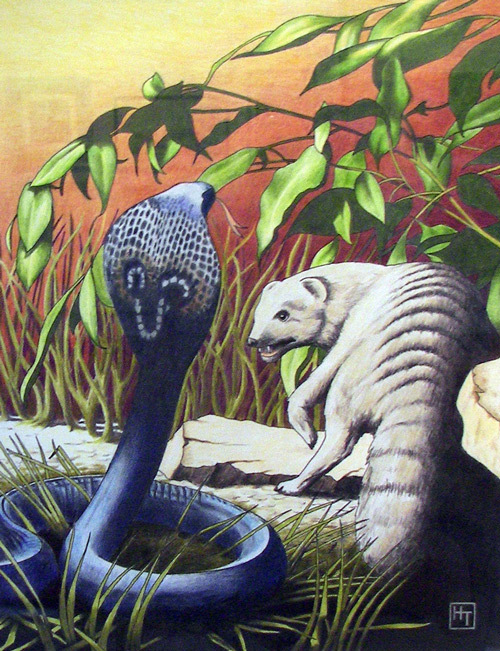 This entry was posted in Illustration, Philadelphia, Philadelphia Art, Philadelphia Art Clubs, Philadelphia Art Galleries, Philadelphia Artists, Philadelphia Artists, Philadelphia Sketch Club, Uncategorized on June 30, 2009 by admin1. As fate would have it, the curator of Galleria Deptford saw DoN‘s work @ Alden Cole‘s gallery – light being (Larry Angel) – and loved it. 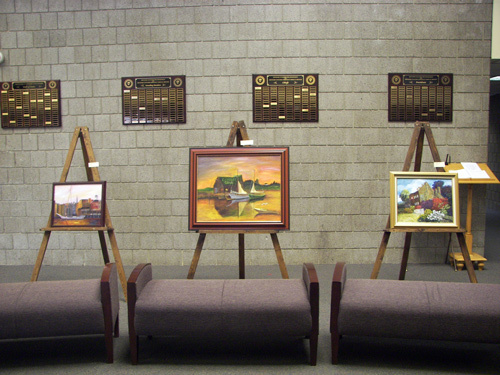 Pauline Jonas invited DoN to the Deptford Municipal Building to discuss showing art in their space; public spaces such as the lobby and wide halls with long walls are equipped with a professional hanging system and lighting which easily displaying various sized work. 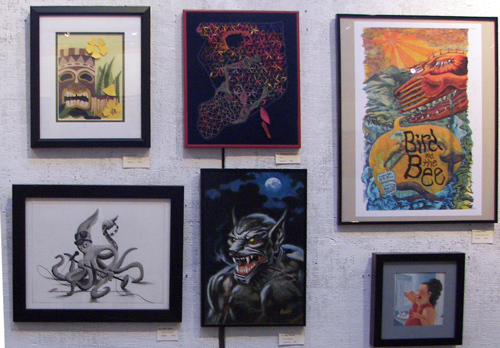 The current exhibit is by The Cafe Artists. the fate part is Deptford is DoN‘s home town, graduating from Deptford High School with a Most Artistic award in 1971. Tony Parisi @ Galleria Deptford. Currently the gallery is showing a group show by the Cafe Artists – Grace Arden, Simone Avitello, Carol Goneau, Brielle Herquet, Kimberly Huth, Jeanne Jablonski, Karen S. Moore, Jan Narducci, Tony Parisi, Diane Paul, Kathryn Roberson, Jack Tanier, Bonnie Williams and Penny Wise. Diane Paul & Brielle Herquet of The Cafe Artists @ Galleria Deptford. Art in public spaces not only reinforces the state of cultural development in a community it serves as metaphor for what the community is seeing, being and living. Artists groups such as the Cafe Artists, who meet monthly at the Deptford Barnes & Noble, invigorate the comunity through visual art. 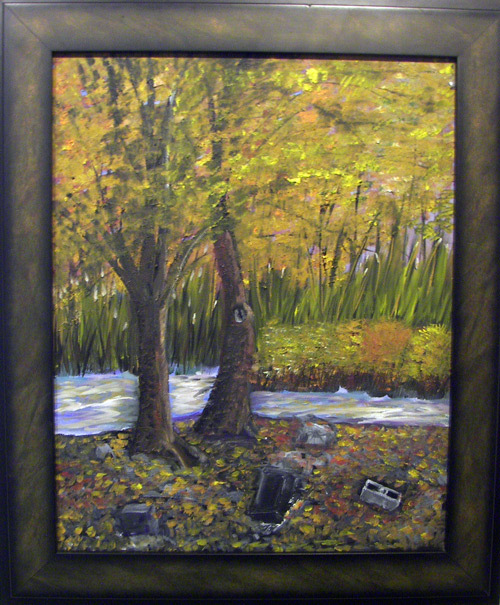 Jack Tanier, Four Seasons, Fall, oil. The Cafe Artists honored one of their own recently departed member, Jack Tanier, with a show of his works; impressionistic landscapes strewn with the rubble of human encroachment on the environment or the earth reclaining it’s own. 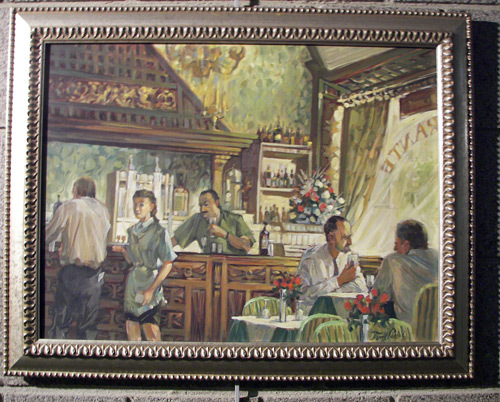 The art in the lobby is show on easles which can be moved to accomodate Court House crowds, then moved back into place; it’s so beautiful that an artist get’s to be remembered and cherished for lifetime achievement and dedication to art. Jack Tanier paintings outside the courtroom of the Deptford Municipal Building. The Galleria Deptford, 1011 Cooper Street, Deptford, NJ – DoN‘s show is in December! 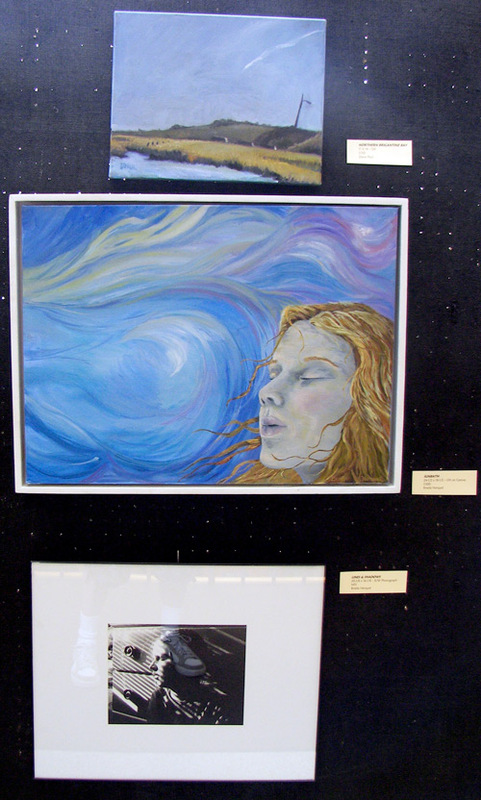 This entry was posted in Art Spaces Philadelphia, Mixed Media Art, New Jersey artists, Paintings Philadelphia, Philadelphia Art, Philadelphia Art Alliances, Philadelphia Art Clubs, Philadelphia Art Shows, Philadelphia Artists, Public Art, Uncategorized on June 29, 2009 by admin1. Photographic Society of Philadelphia – Waffle, Waffle, Waffle!!! Thanks to the tireless efforts of Morris Klein, PSoP now has shows running at all three Center City Bonte’s Waffle Cafe’s. For several year’s the society had an ongoing exhibition @ Joe’s Coffee on Walnut which ended recently; there is an excellent article in the Philadelphia Gay News about how Joe lost the lease on his business, it’s illogical to have all these vacant storefronts. But the new spaces Bonte’s is offering America’s oldest photography society are modern and loungy – DoN observed patrons checking out the photos while munching waffles, after all some of Philly’s most creative photographers are in the club – John Bacille, Jym Paris, Ed Snyder, Veronica Schmude, Bonnie Schorske.. Photographic Society of Philadelphia @ Bonte’s Waffle Cafes. This entry was posted in Art Spaces Philadelphia, Philadelphia Art, Philadelphia Art Clubs, Philadelphia Art Shows, Philadelphia Artists, Philadelphia Photographers, Photographic Society of Philadelphia, Photography Philadelphia, Public Art, Uncategorized on June 27, 2009 by admin1. Ellen Benson, “Snow Day“, mixed media. The Dumpster Divers “The Games We Played Remade” @ The Historic Smithville Mansion inhabiting the game rooms (the pool room & bowling alley) of the 1875 estate is a melange of mixed media, metaphors, memories and wishes. Alden Cole‘s Chinese Checkers is delightfully addictive, Ellen Benson‘s mixed media works are displayed with room to breath and absorb, Burnell Yow! squishes Barbie heads with badminton rackets – Super Fun! Burnell Yow! @ “The Games We Played Remade” in The Historic Smithville Mansion. The bowling alley of the historic space is a perfect venue for the show; The Games We Played Remade is exhibiting some of Philly & SJs best mixed media, green artists in a quirky theme seemlessly matched with a truly beautiful space (there’s a rose garden and a Moose head in the card room) is definitely worth the short drive on Route 38. This entry was posted in Art Spaces Philadelphia, Collage, Drawings, Fine Art Philadelphia, Folk Art, Games, Mixed Media Art, New Jersey artists, Philadelphia Art, Philadelphia Art Galleries, Philadelphia Art Installations, Philadelphia Art Shows, Philadelphia Artists, Philadelphia Artists, Philadelphia Sculpture, Plastic Art, Recycled Art, Uncategorized on June 24, 2009 by admin1.